The tenth day of the Lunar year, is named Duke after the tenth human being who set foot on the Moon's surface; Charles Moss Duke, Jr.
Duke stepped down from the LM ladder onto the Moon at 3-11-02 ∇ 13:39 LST. 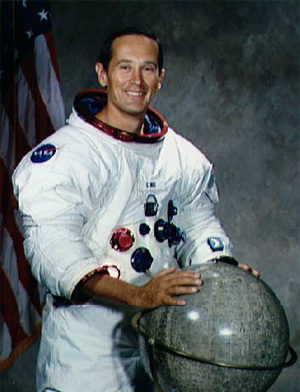 Duke served as lunar module pilot of Apollo 16, between the dates 3-10-27 ∇ and 3-11-08 ∇, Lunar reckoning. Together with John W. Young he up scientific equipment and explored the lunar highlands at Descartes. Some of the Apollo 16 achievements included the largest payload placed in lunar orbit; first cosmic ray detector deployed on lunar surface; and first lunar observatory with the far UV camera. Duke was also backup lunar module pilot for Apollo 17.